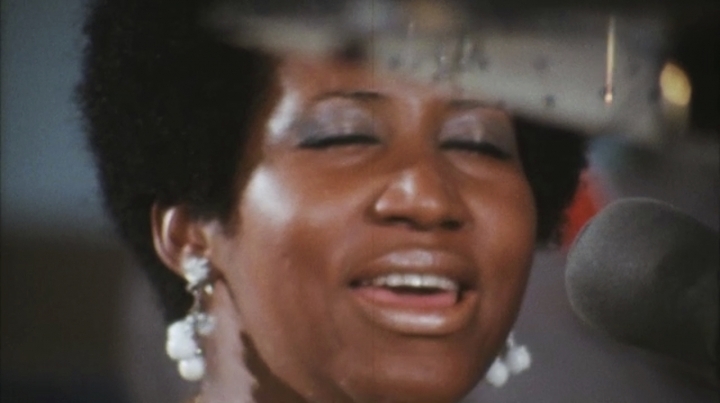 Filmed over two sessions in January 1972 at the New Temple Missionary Baptist Church in the Watts section of Los Angeles, it captures Franklin at the absolute apex of her power. The colossal accompanying double LP, which didn't suffer the same fate as the footage, is already justly revered and remains the best-selling gospel record of all time. But to see it is to believe. This is gospel ecstasy. For a long time, "Amazing Grace" was one of the great unseen white whales of cinema. The film — shot with 16mm cameras by a then up-and-coming director named Sydney Pollack — sat for decades in studio vaults because Pollack forgot to slate his footage, leaving the sound and pictures unsynchronized. He left the mess behind and moved on to make "The Way We Were." After Pollack died in 2008, Alan Elliott took over the film, had it synced, and had David Arnold edit it. (Elliott is credited for having produced and "realized" the film.) But efforts to release the documentary were stymied by Franklin who sued the filmmakers to prevent festival screenings in 2015 and 2016. It finally premiered three months after Franklin's death last year, with her estate's blessing. It's now arriving in theaters, 47 years later. The great concert films are often elevated by concept ("Stop Making Sense") or occasion ("The Last Waltz"). But "Amazing Grace" is lifted not by the production, which is a little shambling; or the staging, which is an afterthought. No, "Amazing Grace" is sent heavenward almost entirely by Franklin's soul-shattering voice and the frenzy worked up by the Southern California Community Choir, Rev. James Cleveland (a legend, himself, who presided over the performance), the limber choir director Rev. Alexander Hamilton, and a small (largely unseen) rhythm section of top-flight R&B players. It's overwhelming. Singing from the pulpit, Franklin's supreme virtuosity takes on biblical proportions. So glorious is she, then 29 and already in such staggering command of her instrument, that "Amazing Grace" — if you weren't dancing and hollering — would be hard to watch standing. Aretha will knock you flat. Part of the fun of "Amazing Grace" is watching not just those in the thrall of Franklin (Mick Jagger can be seen bopping in the back of the church) but witnessing the awe Franklin evokes. Members of the choir stand countless times to spur her on: "Sing it!" Franklin's father, a blue-suited Rev. C.L. Franklin, addresses the congregation (where Clara Ward sits in the front pew) to try, with halting eloquence, to measure his daughter's great talent. "Aretha is just a stone sing-ah," he says. An inexperienced documentarian, Pollack isn't as perceptive as, say D.A. Pennebaker was in "Monterey Pop." But he has the good sense to push in close on Franklin. 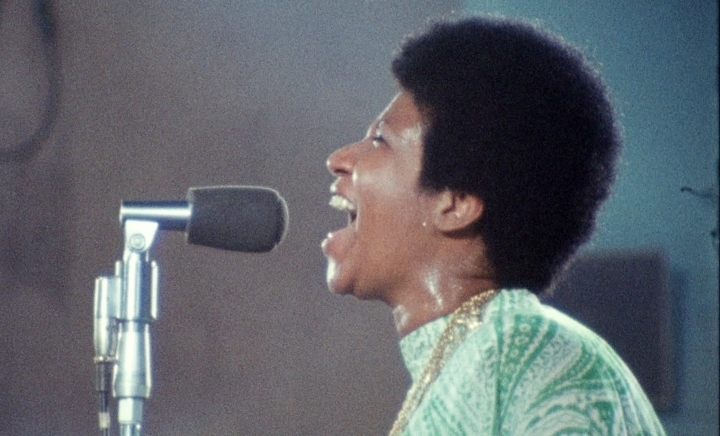 "Amazing Grace" is best when her face, sweaty and blissful in song, fills the frame. She nearly glows. The concerts were a return to gospel roots for Franklin after a string of hits for Atlantic Records. Her father, one of the most prominent black preachers of his day and a close friend of Martin Luther King Jr., had raised her preaching both of God and black pride. So when Franklin here performs "Never Grow Old," she's singing one of the first songs she ever recorded, at age 15. Secular numbers ("You've Got a Friend") are mixed in with gospel staples like an exhilarating "Mary Don't You Weep" and a majestic, 10-minutes-long "Amazing Grace." Blues and gospel merge euphorically. It's easy to wonder while watching "Amazing Grace" what Franklin ever objected to. Did she simply resent that the filmmakers bungled its making? There remains some mystery around Franklin in the film, a shadow of sorrow seen only when she isn't singing. Franklin says virtually nothing throughout, appearing preternaturally calm in between songs. Is that simply out of respect for the setting? Was she somehow not at ease during the film's making, at least when the music wasn't playing? Or is it more like what John Updike said about Ted Williams not doffing his cap to fans after a home run? Just as gods do not answer letters, queens don't curtsy. "Amazing Grace," a Neon release, is rated G by the Motion Picture Association of America. Running time: 87 minutes. Three and a half stars out of four.